The First African American Vegan Starter Guide is Here! 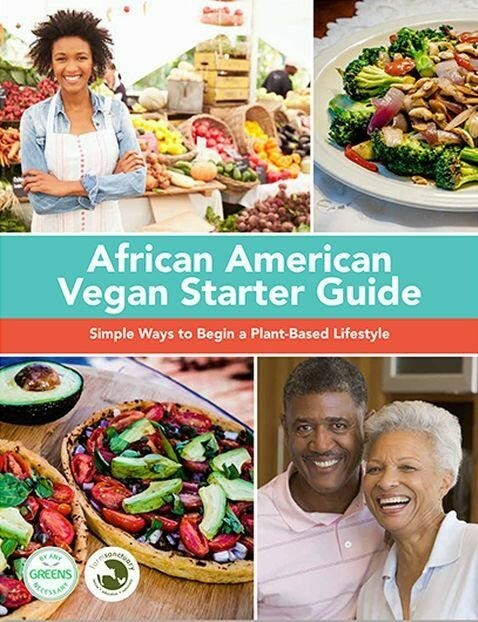 A collaboration between Farm Sanctuary and author Trayce McQuirter, of By Any Greens Necessary, has produced the first vegan starter guide for African Americans. The free, 40-page toolkit highlights a variety of resources, such as recipes, dining out advice, and FAQ specifically for anyone in the Black community looking to become more plant-based. The guide also features information on prominent Black vegans, like U.S. Senator Cory Booker, Forest Whitaker, Russell Simmons, Stevie Wonder, and Erykah Badu, to name a few. Farm Sanctuary founder Gene Baur has voiced his excitement to be partnerd with McQuirter for this project, stating, “We are grateful to join in the decades-long efforts of communities of color in this vital work.” Find, use, and share your copy here!